ADD cases often start at a very early age which can make them to be quite a challenge to detect. Children need all the help they can get especially since they don’t know how to properly deal with their condition. The same can also be said with regards to parents as it can be both frustrating and disheartening to adjust with the constant impulsive behavior of their child. With that being said, many parents were able to find success in raising their child regardless of ADD. 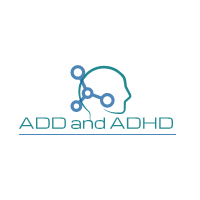 Let us look at some tips on how to help parents attend the needs of children with ADD. Early detection plays a very important role in helping children cope with ADD. For that matter, it is important for parents to be aware of some of the ADD Symptoms and discuss them with their personal doctor in order to give a proper assessment. One of the main issues parents have with their children who have ADD is the slew of behavioral problems that arises. Behavior management is vital in helping them manage their condition. Key elements of includes the encouragement and reward of good behavior. On the other hand, negative reinforcement is done to help extinguish bad behavior. Establishing clear rules and outcome can help teach children the consequences of their actions. Children with ADD need to feel the extra efforts of their parents in order to feel accepted and loved. This requires a number of positive traits including empathy, patience and affection. Aside from that, energy, strength and proper judgment is also needed on the part of the parent as they will be the ones in charge of deciding which behavior they will and will not tolerate. Parents often fall into the trap of not sticking to crucial guidelines. For instance, they may punish a behavior one day and allow them on the next. It should be noted that this habit can do more harm than good to your child. Another thing to note is how your guidelines will be presented. Since you are dealing with a child, it is important that you keep the rules simple and clear for them to easily follow. Don’t forget to reward them for their actions especially since positive reinforcement and repetition can go a long way in helping your child understand your rules much better. It is also important that you strive for a good measure of balance when disciplining your children. You can’t be too soft or perhaps too strict with your child. Because of ADD symptoms, it can be a bit harder for them to adapt to change as well as others. For that matter, parents need to allow their child to make some mistakes as they learn. For instance, odd behaviors that are not detrimental to your children are something that you should accept as part of your child’s individual personality. This in turn can help you understand your child’s condition better together with their doctors.